Antirobe 25mg Capsules are an effective antibiotic used in the treatment of infections caused by bacteria in cats and dogs. 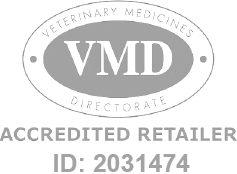 Antirobe Capsules - 25mg is a Prescription Only Veterinary Medicine and by law requires a prescription from your vet. Antirobe 25mg Capsules are an effective antibiotic used in the treatment of infections caused by bacteria in cats and dogs. The capsules are rapidly absorbed and reach the site of infection quickly to effectively inhibit the growth of aerobic and anaerobic bacterial pathogens. Anitrobe Capsules are manufactured by MSD Animal Health and are developed specifically for cats and dogs. As such, they must never be used in other animals.